Night Court, a poetry collection by Erica Goss, is the winner of the 2016 Lyrebird Award from Glass Lyre Press. The collection will be published in the summer of 2017. When I received the news that Night Court was a semi-finalist for the Lyrebird Award from Glass Lyre Press, I tried my best to contain my excitement. Over the last three years, I’d sent my book out thirty times. It had been a semi-finalist twice, and received some nice comments, but those rejections had taught me to be cautious: a kind rejection is still, after all, a rejection. Although cautious does not mean hopeless, every rejection brought its own sadness. To cope, I gave myself a strict time limit for mourning: ten minutes, then back to work. During those ten minutes, if I needed to cry, I did. I did not, however, allow myself to indulge in self-pity, self-doubt or any thoughts of giving up. At times it was rough going. The poetry community is small enough that we often find ourselves in the position of congratulating a colleague for winning the contest we just lost. This requires strength, confidence and good manners. After a year of repeated rejections, I knew the book had problems. It was my good fortune to connect with poet/editors Jeannine Hall Gailey and Kelly Davio, who agreed to take the book on. They gave it a much-needed makeover: a new name, a new order, and cut nearly one-third of the poems. I could not have done this alone. The book needed a fresh set of eyes, and I was happy with the result. No, I did not agree with every suggestion, and yes, I put back a few of the deleted poems, but my concept of the book was radically changed. No longer a collection of poems randomly thrown together, it was now a shaped work, with the poems linked to each other thematically. Thanks to Jeannine and Kelly, I had renewed hope, and a new draft. As I read through the draft, I found that many poems gained new meanings just by the act of having placed them next to other, different poems. For example, I noticed that I had a couple of poems named “The Art of…”. By carefully reading through the draft, I realized that other poems could be renamed, “The Art of” something. These titles became Negotiation, Smoking, Leaving, and Demolition. I placed an “Art of” poem in four out of five sections of the book. They tie the sections together, forming an idea-link throughout the book. Over the course of the next almost-two years, I added and subtracted poems here and there, but didn’t alter the book’s structure. I thought hard about where any new poem should go, how the sections fit together, and what their themes were. Every month or so, I sent the manuscript out again. Major life events occurred during those three years. My husband and I changed jobs, family members died, our children developed serious medical issues. We sold our beloved home of twenty-three years and moved to a smaller place. I wrote many poems about those life changes, and added a few to the sections in the manuscript where they fit. A couple of weeks after the announcement from Glass Lyre, I received news that Night Court was a finalist. I allowed myself to get a little more excited. I was honored and delighted that the book had gotten this far. Whatever happened after this, it had received “finalist” status, and that made me happy. Nothing, however, prepared me for the feeling I had when I got the news that the book had won the Lyrebird Award. At that moment, I saw the long chain of submissions, rejections, and rewrites in an entirely new light. They were all steps on the way to a better book, one that I’m proud of, and can’t wait to see in print. My advice to poets sending their first collections out: write the best book you can, but don’t be afraid to make changes. Work with an editor if possible. Develop a strong tolerance for rejection, but honor your emotions as well. Research the presses you send your manuscript to: buy their books and read their authors. Balance submissions between open reading periods and contests. Become part of a poetry community. Keep at it and you will succeed. 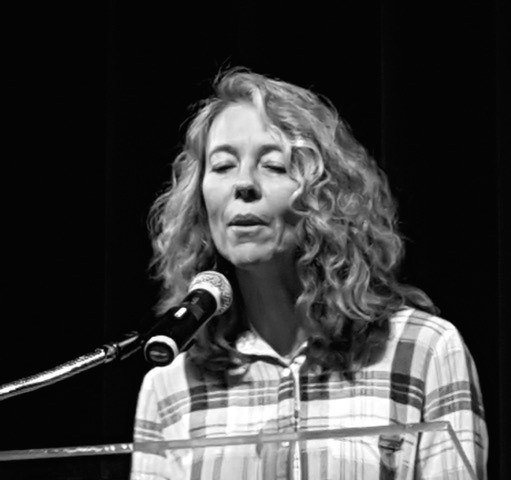 Erica Goss served as Poet Laureate of Los Gatos, CA, from 2013-2016. In 2011, she won the Many Mountains Moving Poetry Contest. She was nominated for the Pushcart Prize in 2010 and 2013, and for Best of the Net in 2016. She is co-founder of Media Poetry Studio, a poetry-and-film camp for teen girls: www.mediapoetrystudio.com. Her poetry collection Night Court won the 2016 Lyrebird Award and will be published in 2017. She is the author of Wild Place (Finishing Line Press 2012) and Vibrant Words: Ideas and Inspirations for Poets (PushPen Press 2014). Her poems, articles and reviews have appeared and are forthcoming in many journals, including Contrary, Atticus Review, Tinderbox, The Tishman Review, Connotation Press, Gravel, Hotel Amerika, Pearl, Passager, Main Street Rag, Rattle, Eclectica, Blood Lotus, Wild Violet, The Bohemian, Café Review, Zoland Poetry, Comstock Review, The Lake, Lake Effect, and Perigee. Erica is a poet-teacher for California Poets in the Schools. Please visit her at www.ericagoss.com. Wonderful advice from a terrific poet. Congratulations, Erica! Bravo! Percolation time for poetry takes years. Don’t rush. Don’t worry. Just write and rewrite before you hit ‘send’. I thought this might interest you…good luck with your manuscript! !